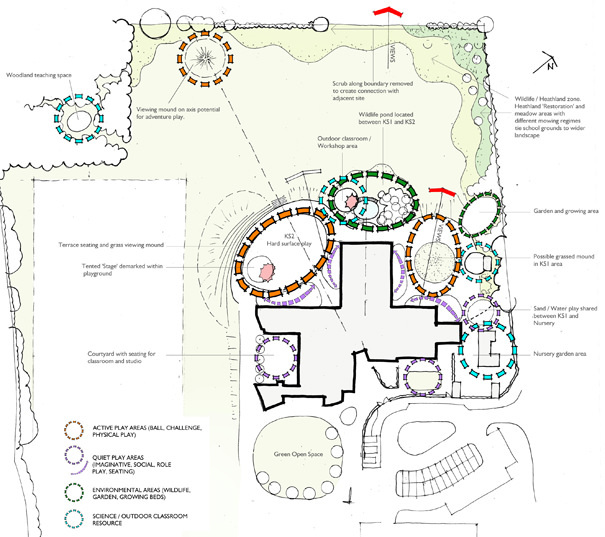 This project was for a new build primary school located on the edge of heathland in Dorset. 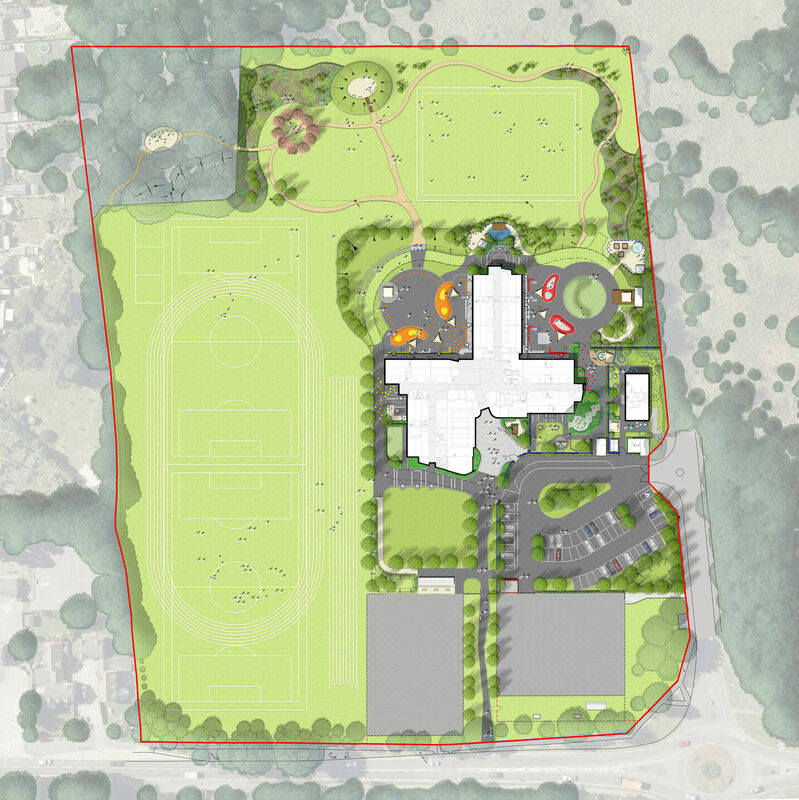 Feedback from a consultation exercise we held with the staff, children and parents was used to inform the design of the external landscape and helped to enable us to respond effectively to meet the school’s requirements. The design and arrangement of the external areas were carefully considered to achieve a good spatial and visual relationship with the new building. 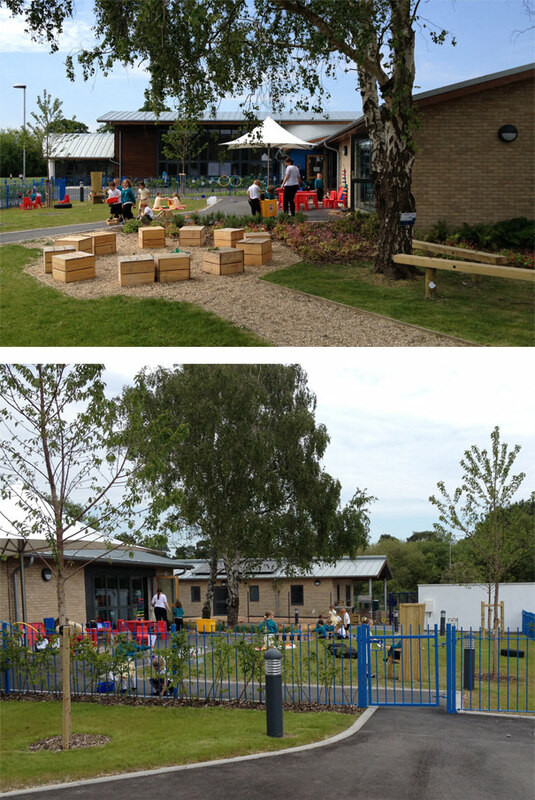 Small break out spaces were provided immediately adjoining the classrooms to provide flexible outdoor teaching opportunities; and playground markings, furniture, sculptural sail shades, decorative planting and subtle land forming have all been incorporated to help introduce visual interest, colour and subtle spatial definition. The project also involved careful coordination with Dorset County Council in order to integrate a new footpath / cycle route along the road at the front of the school.